We are an org anisation who has been chosen by all the major associations of energy healing modalities to be responsible for their accreditation, assessments (through our RQA aligned assessors), and quality of service feedback to ensure the highest standards. Making the EHO a first port of call for the government, media, regulators and other stakeholders who wish to engage the sector. We are a group of people who wish to get the benefits known about how energy healing (as defined below) plays an increasingly important role in the improvement of every day ordinary people’s lives. We are taking this great honour very seriously and are negotiating with the various bodies involved to make it happen in a way that is fair, accessible, affordable, and protects the public from rogue practitioners as well as be a change agent in the transformation in the industry. Over 70 Million People in the USA & UK use complementary and alternative health because they find it effective. Legal disclaimer – You are advised to consult with your medical practitioner before embarking on any course of alternative, complementary, or beauty sessions. Our use of systems that are trademarked or have a registered trademark represents our views and not necessarily those of the trademark owners. The use of our forum section is at your own risk, as it may contain advice and information from non-members, who may not share our point of view. Having said that, the methods of healing that you read about on this website may be still in an experimental stage and by using them, you take full responsibility for your own health. If you have a complaint about a member of the Organisation, please contact us. We aim to give you practitioners of the highest quality who give a great experience of energy healing no matter what their background is. 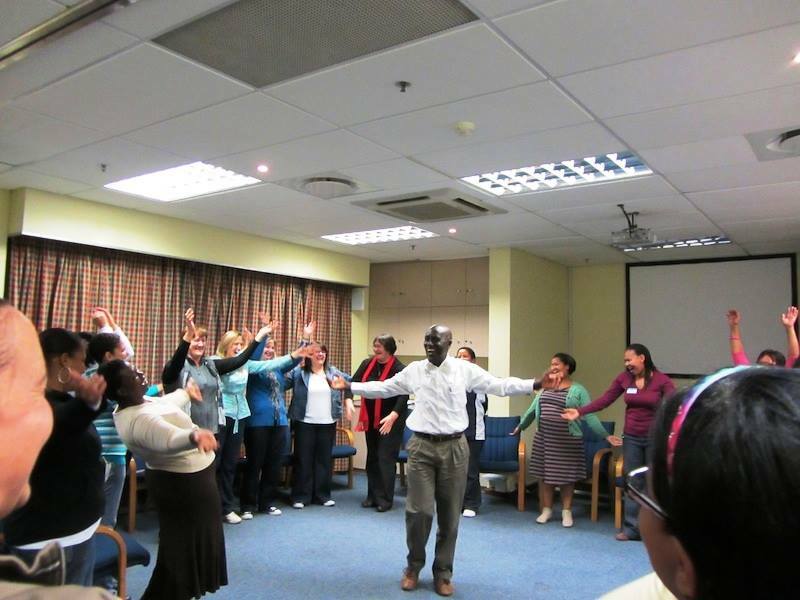 We are based in Africa, where our remit at the industry body responsible for assessment and quality is to have the highest standards of energy healing, especially advanced modalities that are easy to learn and self-apply, like EFT, for anyone who needs to learn it with an internationally recognised qualification. 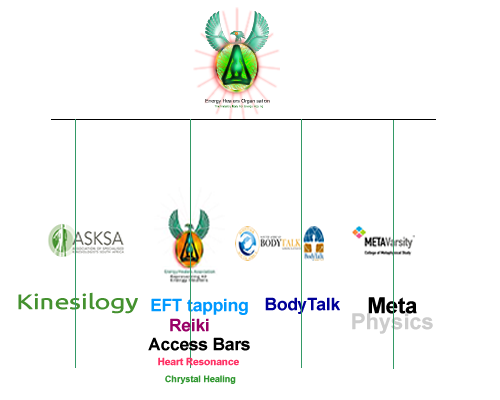 The Energy Healers Organisation Approves, Assesses and is the industry body for Energy Healing, we Recognised Quality Associations as paying members. The public can join one of our RQA associations such as the Energy Healers Association. Our member associations provide the courses and training and you can find them here. By supporting the Energy Healers Organisation you benefit directly and indirectly because in this web site you can find resources to improve the quality of your life through various modalities, Reiki, EFT training and information from many other energy modalities. If you wish to donate, please let us know, maybe we could name a new charitable facility wing in your name. Seriously, we can do with your help and backing as for now memberships are free on invitation,donations are accepted. Our members are well-trained people from Recognised Quality Associations who choose to help others with various modalities that have shown to be effective and have been used for efficacious results for helping people overcome trauma, cope with HIV/AIDS issues, release allergy-like reactions and chronic pain, give up addictions such a smoking, hard drugs, behaviours such as anorexia, bulimia and also just for relaxation and maintenance. It is recommended that Practitioner members charge between R650-R1400 for up to 1-2 hours, and that members can discount according to a sliding scale where needed. It is recommended that an energy exchange is always given, no matter how small it may seem. Basic training fees are recommended to start at R990 up to to R1900 for up to three hours experiential training, the exception being Healing shares which can be donations or donations and fees, its up to the SDP practitioner providing the shares. The practitioner must adhere to client confidentiality (keeping a client’s secrets), unless a child is being seriously abused (such as sexually) or someone’s life is in danger (for example, if the client said they intend to kill their spouse that night). Personal details such as phone numbers, email addresses and addresses of clients are privileged information may not be sold or given out to marketing companies. Any details of the session(s) are also confidential, and written permission from the client is required before using the information in an article or case study. Client details need to be stored securely under lock and key. If these details are on a computer, they need to be accessed with an alphanumeric password, which must also be securely placed. Client details need to be stored for a minimum of 7 years, in case they are needed for legal reasons. The client’s doctor may only be contacted with the client’s written permission. The practitioner must not practice in return for payment, or in a formal voluntary role (for example, working as a volunteer practitioner in a mental health or cancer charity), or in a free marketing or customer service role (for example, during a free talk) any modality in which they have not received formal training to practitioner level. If the practitioner wishes to practice without any financial or commercial reward a modality in which they have not received practitioner-level training, they must make it totally clear to their client that they do not have the appropriate training, be sure that they have permission from the client to do so, and must limit this practice to very close family and friends only. An exception to this is where the practitioner is doing a session under strict supervision, and according to the instruction of their trainer, whilst doing their professional-level training (for example, performing a Reiki case study as instructed by their Reiki Master). The Energy Healers Organisation reserves the right to approve or disapprove of professional-level training. This approval is subject to successful application from the practitioner and/or the training body. Sessions should take place in a safe and comfortable place. A client needs to be treated with the utmost respect and non-judgemental attitude: even if what they are saying goes contrary to the practitioner’s way of thinking. The issues need to be worked through without prejudice. A Practitioner is in a position of trust and must never cross inappropriate boundaries. This includes the touching of private parts and requests to disrobe (unless it is part of, for example, a massage session the practitioner is additionally qualified to practice and the client has already requested and agreed to). Children may be seen with the parent’s written permission. If the parents leave the child alone with the practitioner, it is recommended that the practitioner get an indemnity signed to cover for personal injury in cases where the child is a self-harming patient. Practitioners must never promise a cure for any problem. The doctor’s care takes precedence over the complementary practitioners’ care and it must never be recommended that they leave this care. With energy healing, you are addressing the underlying energetic patterns with the goal of bringing balance and harmony within the energetic field of the person, when the body’s energy field is balanced and flowing without disruption, the body can naturally heal itself. This does not replace medical care. There are instances where energy healing is not the most appropriate immediate or other action, particularly where the client is needing urgent hospitalization (medical emergency, such as heart attack), a danger to themselves (about to commit suicide), others (some extreme psychiatric cases). Here the nearest emergency room may be contacted or a crisis line may be phoned. Unless the practitioner is also a qualified nutritionist, dietitian, or other suitably qualified medical practitioner, they may not prescribe supplements or advise on nutrition. They may, however, recommend one of these professionals in appropriate circumstances e.g. anorexia. Pre-session(s) agreement between the practitioner and client: It is important to fully inform the client. They need to know about the possibility of the risk of an abreaction and allow them to have the opportunity to exit at this point and not have the session(s) if that is their wish. As part of the pre-session(s) agreement, the practitioner will make the client aware of legal disclaimers. This is particularly pertinent when the session is conducted online via Skype or telephone. -the risks, benefits and alternatives to online, phone, and distant work, for example, differing laws across country or state borders. -that every effort will be made to keep information confidential. However no internet or phone communication can be completely free from those that hack, but the practitioner undertakes to keep information secure on his/her side. The client needs to do the same. -that the practitioner’s qualifications have been openly shared and that there is agreement to work together under this knowledge. To always represent the energy healing techniques approved by the Energy Healers Organisation and taught or trained by providers approved of by the Energy Healers Organisation. Not to take action that will be harmful or slanderous to the Energy Healers Organisation, any of its members or any of its approved healing methods. You should never bring the Organisation into disrepute. Should there be wrong-doing by a member of the Organisation, the procedure is that members of the public and members of the Organisation report it to the committee, who will then decide upon appropriate action, after due process of a disciplinary committee hearing which could also include a monetary penalty and/or expulsion from the Organisation. Practitioners will follow and abide by any disciplinary decisions made by the committee of the Energy Healers Organisation, which may include expulsion. The main concerns in the rare occurrence of disciplinary action are to protect the public and uphold the reputation of the Organisation and all its members who abide by its Codes and Ethics.